Google’s new Material design is coming to Google Analytics. Google is also bringing improvements to the Google Analytics. Check out what new changes coming to Analytics. 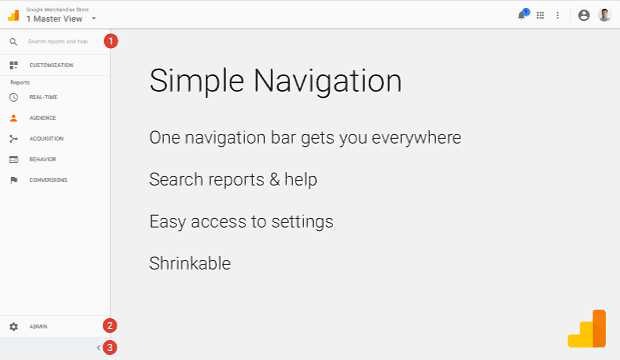 A brand-new navigation using Google’s Material Design standards. Removal of the “Home Customization Reporting Admin” subheader bar. Admin is now pinned to the bottom of the navigation. Resizeable left navigation to allow for more space in the canvas. Intelligence Events:Custom alerts have moved to the new Customization section and will continue to function as normal. Automatic Intelligence Events have been removed from Google Analytics, and will soon be replaced by automated insights from Assistant.